Protecting your identity and your data starts with you, the user. I always tell my students that the biggest threat to network and internet security is the people using the technology. Most of the time those threats are just due to a lack of education. Put simply, many people just don’t know any better. If we all just stopped for a moment to think about what we’re doing, before doing it, most of us could limit our exposure right there. If you’re not sure of the source of an email or attachment you received you’re better off just deleting that email or attachment. Clicking on the wrong link or opening the wrong file attachment is one of the easiest ways to infect your computer. Images like this are much too precious to lose. this. Microsoft Windows can be reloaded, programs can be reinstalled, and printers can be re-added. Pictures, documents, music and any other personal files will most likely be lost forever if your computer gets infected with a virus, malware, ransom ware, etc. You have two main choices for backing up your data – local and online. I personally back up everything online. I use Google Drive to store all my personal documents. You get a lot of storage for free and if you need more the costs are minimal. I also use Google Photos to store all of my pictures. The best part is the Google Photos app for Android and iOS will back up your pictures automatically for you. You don’t have to do a thing once the app is setup and logged in with your Google account. Between Spotify and iTunes there’s a record of all my music online. I can just download it again if I need to. Your other option is to do local back ups. If you choose to go this route I recommend an external USB drive that can easily be grabbed should you need to (i.e. in the case of a house fire). Most operating systems have automated back up tools that you can use to back up data to an external drive. The main drawback to local back ups is that since they’re connected to the infected computer there’s a really good chance that attached drive has also been infected rendering your back ups useless. I always recommend online back ups. They’re encrypted and stored on multiple servers across the country, possibly the world, so there’s less chance they will get lost. As long as you have internet access, which is basically everywhere these days, you can get to your files. One thing you need to make sure you have is some security software installed on your computer. At the very least you need to have anti-virus software installed. The last few versions of Windows have come with Windows Defender pre-installed. It’s free and provides basic protection against viruses and malware. That’s a good start but there are some better alternatives. 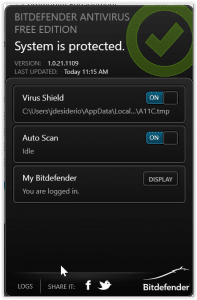 I recommend Bitdefender for a free anti-virus solution. It’s simple to use and does not take up much space or resources on your system. It was highly rated by PC Magazine. You can read their review of other free anti-virus solutions here and pick one that feels right for you. When it comes to protecting yourself against Malware, Malwarebytes is the king. You can use the free one located here and it will work any time you want to use it. To get always-on protection you’ll need to pay for the premium service (about $25/year for use on one computer). Set yourself a reminder to run the free one every couple of weeks or so and the free version should work just fine. The last service I want to discuss is what’s called a VPN or Virtual Private Network. Anyone who’s worked remotely for their company probably knows the basics of what a VPN does. It gives you a secure connection back to your corporate network, in essence making it seem like you’re sitting at your office even though you may be hundreds or thousands of miles away. It’s used to authenticate the user to the corporate network, protecting company data, while also giving the user the ability to access their files and documents that may be stored on the corporate servers. The secure connection prevents would-be hackers from intercepting any of the data transmitted back and forth during the VPN session. That’s all well and good for corporate connections but what about home use? 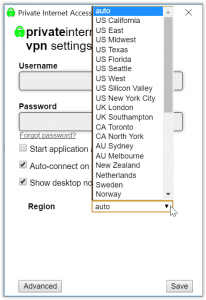 Great news, there are numerous VPN options for home use as well. The uses for these are a little different but based on the same concept as the corporate VPN. A VPN can help you mask your identity online. Because you’re connecting securely to the internet the NSA, your internet provider, websites and other internet servers can’t tell where you’re coming from and who you are. The VPN will make it seem like you’re connecting from a different physical location than where you really are. Using a VPN on your laptop while connected to a public Wi-Fi (like Starbucks) is highly recommended because those connections are wide open and have no security on them whatsoever. Somebody that wants to steal your information can do so easily at one of these places using some basic software. Using a VPN prevents this from happening. The hacker cannot access your connection because the VPN software encrypts your connection through that public Wi-Fi. After connecting to VPN my online presence shows me in Seattle. Pre-VPN I’m shown in Madison. Pretty close to actual location. Being connected to the VPN, combined with an ad-blocker like Adblock Plus, can prevent most of those pesky ads that pop up all the time when you’re online. The ad sites have no idea where you are so they have a hard time presenting the appropriate ads. What does not get filtered by the VPN will most likely get blocked by the ad blocker. If you’re concerned that your internet service provider (ISP) is throttling your connection a VPN can help you determine that. ISPs can tell what you’re doing online based on what your connecting to. Pretty good results from the Tech Support computer lab at MPTC. For example, Netflix uses a specific type of connection. When the ISP recognizes that you’re using this connection they slow your speeds down. This happens quite often, especially with Netflix. Once connected to a VPN, however, all of your traffic looks the same as any website you would go to. The ISP can’t tell you’re using Netflix so there is not throttling of your speeds. 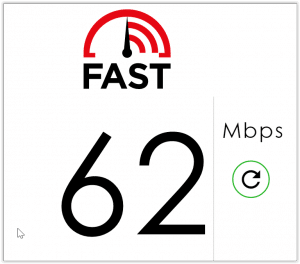 If you think you’re being throttled when using Netflix there’s a simple test you can perform. Go to the website Fast.com. This site tests your internet speed to Netflix’s servers. Get the results of that initial test and then connect to the VPN and rerun the test. If your speeds go up then your ISP is slowing down your Netflix connection. If it goes down a little bit that’s normal when connected to a VPN and no throttling is present. Now that I’ve convinced you to use a VPN where do you go from here? This website does a nice job of reviewing 10 different VPN options based on price, speed, anonymity level, and reliability. PC Mag also does a review of various VPNs as well and you can find that here. Most of the ones on these two sites have a cost associated with them and the price varies among the options. Most have either a trial period or a money back guarantee should you choose not to use them. If you must use a free option then check out this review here. Free VPNs usually have either a speed limit or a monthly cap on how much data you can download through them. Because of that I don’t recommend a free option. PIA has a lot of regional options for secure connections. The VPN I personally use is called Private Internet Access (PIA). It’s relatively inexpensive, about $3.33/month if you pay for a full year up front, is easy to use, can be used on five devices simultaneously, has great speeds, and a lot of options for server locations. Having a lot of options for server locations means no matter where you are you’ll get a fast and reliable connection. PIA takes anonymity a step further and allows you to pay for it in a variety of ways including gift cards from major retailers. Use a Target gift card to pay and you don’t even have to put in your credit card information. The PC Mag review of VPNs mentioned above gives PIA it’s Editor’s Choice designation. There are iOS and Android apps for PIA as well so you can secure your mobile device connections too. This is just one example of the many possible options so choose the one that best meets your needs. 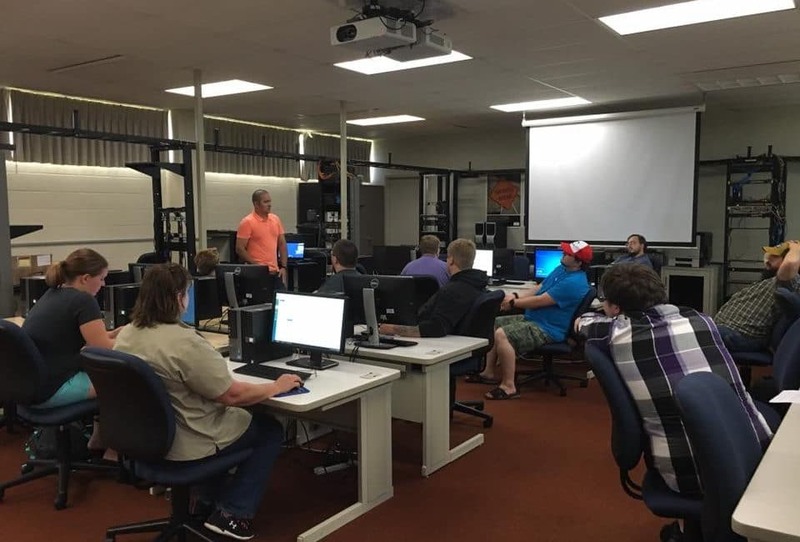 As I mentioned earlier security and online protection is a big topic we teach in the IT-Tech Support and IT-Networking programs at MPTC. We just had a discussion in my Network+ class about VPNs and I was pleasantly surprised to find out that three of the students are already using a VPN to secure their home network. A handful more were ready to sign up after the discussion was over. They understand how important online security is and are ready to get familiar with more of the options. This will make them better suited for the corporate IT world they’re preparing themselves for. 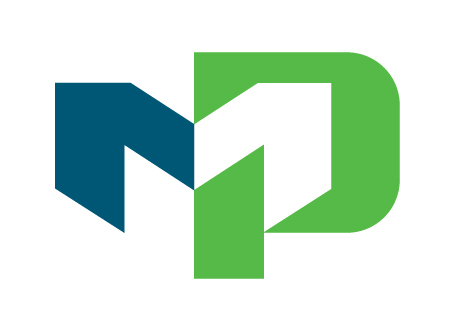 If you have questions about protecting yourself online, or VPNs and security software specifically, I encourage you to check out the Moraine Park – Networking & Tech Support Facebook group. Anyone can join the group and you can interact with the instructors and many of our students. 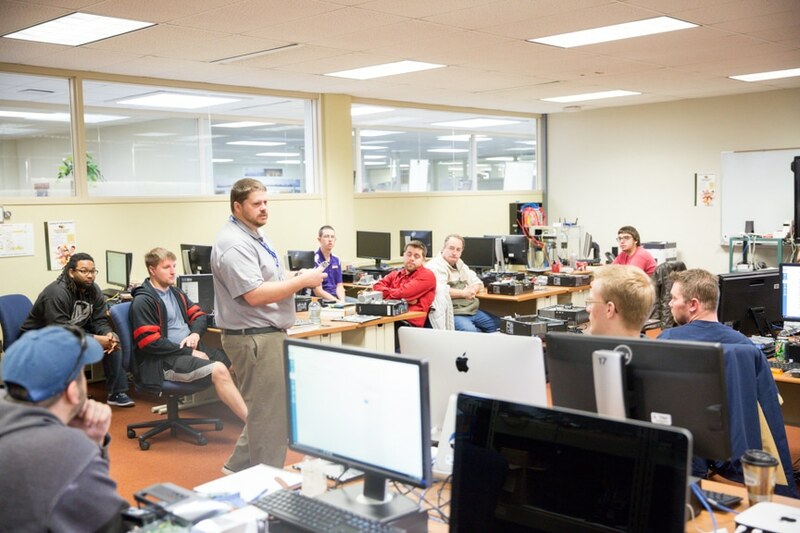 You can also see some of the other stuff going on in the Networking and Tech Support programs. If you would like more information about the programs visit the Tech Support and Network Specialist sites or check out some of the other programs Moraine Park Technical College has to offer. Hi Joe and thanks for a nice article! I have a couple of things to add regarding VPN… First, using a $50 Target gift card will give you 366 days of PIA access ($4.17/mo) for up to five devices. You will need to provide an email address during the signup process to receive your login info – I suggest using a junk email account that you can delete afterwards. Second, although PIAs website does not explicitly mention ChromeOS, it works on Chromebooks as well. How-to guide: http://www.bhagwad.com/blog/2013/technology/how-to-install-private-internet-access-vpn-on-a-chromebook.html/. 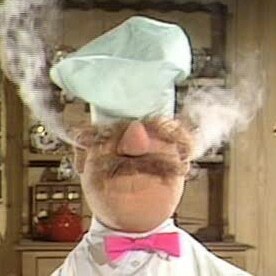 Third, you may not be able to stream Netflix content while using VPN – I’ve had mixed results. This is because Netflix blocks some VPN providers’ IPs (due to their geolocation policy). Thanks for the additional info Anders. You are dead on.The junk email is a great idea. There are numerous services out there where you can set up a junk email account that’s completely anonymous that you can’t even send email from but you can go to their site and check the email delivered to that account. Netflix has gotten tricky lately with their VPN filtering which is unfortunate, especially when using a US-based server for your VPN provider. Thanks for the information on using PIA on a Chromebook. That could be useful the more they permeate the PC market.